Extremely durable, hardwearing wood stain that protects and enhances wood. Ideal for windows, doors and conservatories. Resists peeling, blistering and flaking. Use with Sadolin Classic Wood Stain for optimum protection. Touch dry 4-6 hours. Covers approx 15m2 per litre. 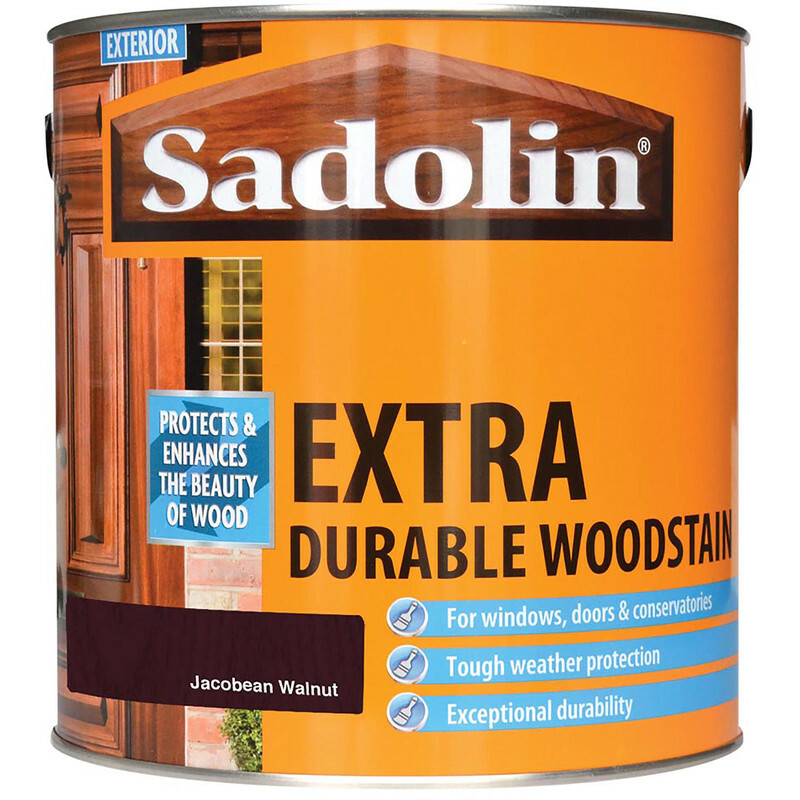 Sadolin Extra Durable Wood Stain 2.5L Jacobean Walnut is rated 4.7 out of 5 by 7. Rated 5 out of 5 by fred 21 from good delivered next day ,and extremely well packed . Rated 4 out of 5 by Jabberwock from Reliable Friend Jolly good stuff, prompt delivery to our neck of the woods. I will buy more when required. Rated 4 out of 5 by Hhggggggg from Great finish Easy coverage and great finish. Rated 5 out of 5 by Gazmoo from GREAT PRODUCT Sadolin has been around for years; was recommended to me many years ago by some professional window fitters. They were right, can't fault this product or any of the others I have used. Rated 5 out of 5 by Peter The Painter from Quality product We use this product regularly. If bare or exposed wood we use the classic first then this on top. Coverage and finish is great.